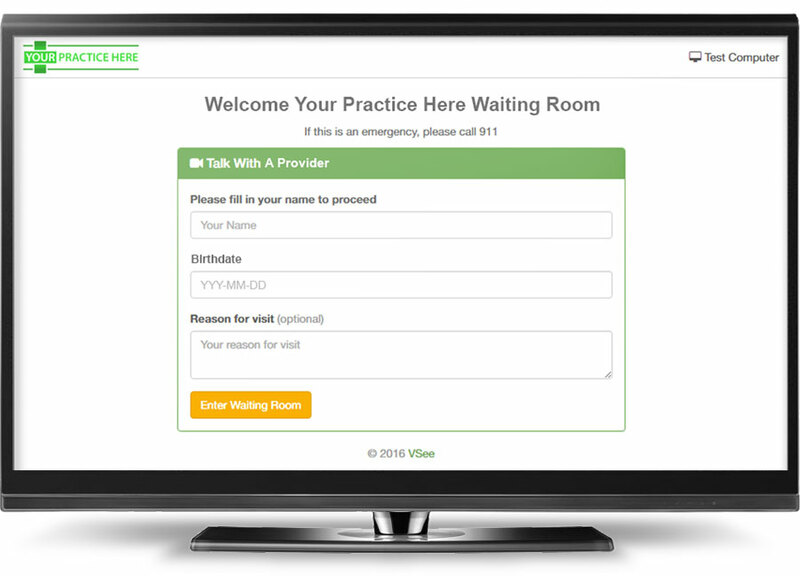 The popular VSee Waiting Rooms is the simplest way to integrate telehealth visits into your existing practice management platform. Custom link to patient sign-in webpage. Patients fill in the form, click a button, and are automatically dropped into a provider-access only queue. No account creation necessary. Customizable intake fields, branding and more! Add logo branding, custom intake fields, ePay, post-call survey, and self-access call reports. Or do-it-yourself by having your web developers embed the waiting room as a widget or button into your website. 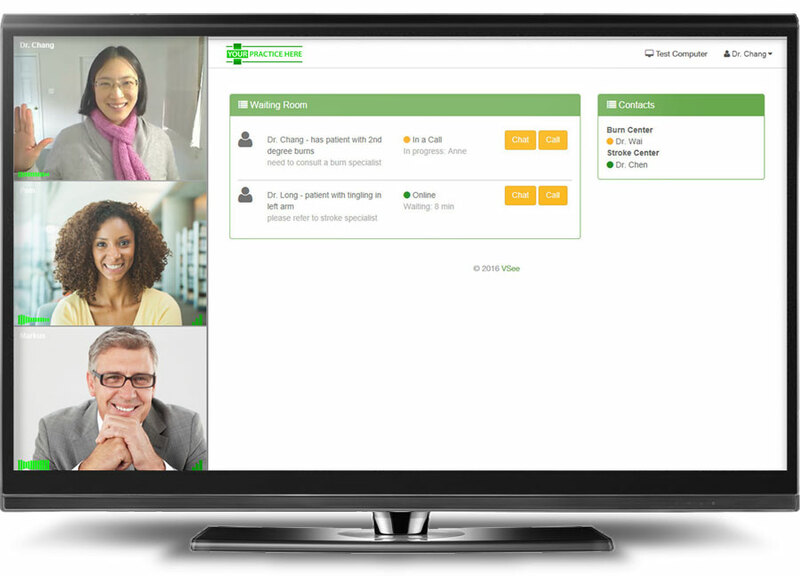 Multiple providers can be logged into the patient queue and see patients at the same time. Patients that have been contacted or are in a call are flagged. Receive an audio alert and text notification on your mobile device when a patient “walks” into your waiting room. VSee offers a call center dashboard with built-in specialist contact list. 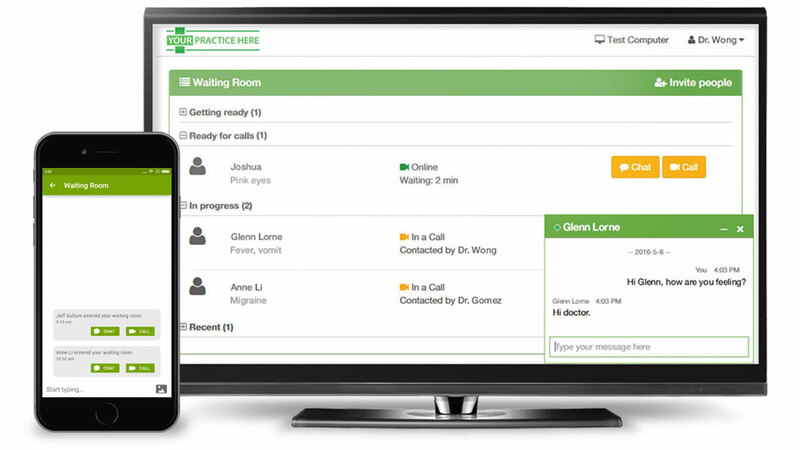 Triage operators can monitor incoming patients and easily add on-call providers from the contact list as necessary. Triage Waiting Room for specialist consultations via video. Read the full case study. Providing secure psychiatric services via video to correctional facilities. 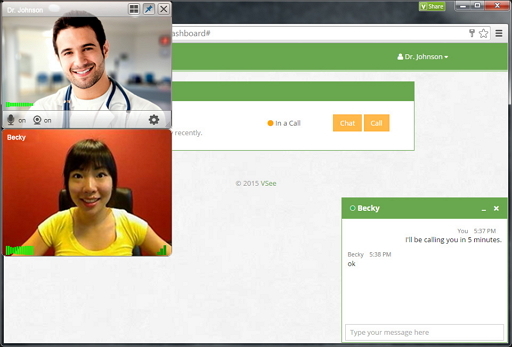 Watch this two-minute tutorial of how a simple non-branded VSee Waiting Room works. Prefer a live demo? Contact us now!